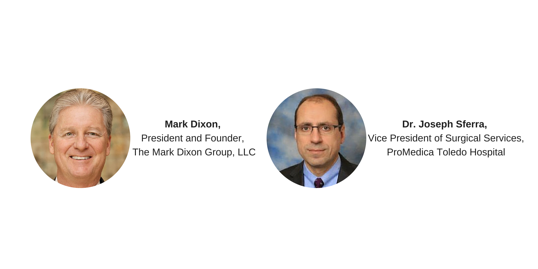 Join us for a two part webinar jointly presented by Mark Dixon and Dr. Joseph Sferra. Mark Dixon, former Chief Executive of Abbott Northwestern Hospital and President of Fairview Health Services, will pull from his 30+ years of healthcare leadership experience to discuss what's happening today with IDN's, hospital trends and strategies. Current VP of Surgical Services at ProMedica Toledo Hospital, Dr. Joseph Sferra, will discuss how these changes impacted their facility's decision to adopt the SEDASYS® Computer-Assisted Personalized Sedation System and their experiences to date. For complete indications, contraindications, warnings, precautions, adverse events, and additional product information, see Instructions for Use and Essential Product Information at www.sedasys.com .